A new and innovative riverside precinct in Queensland’s Rockhampton is proving popular with tourists and locals. 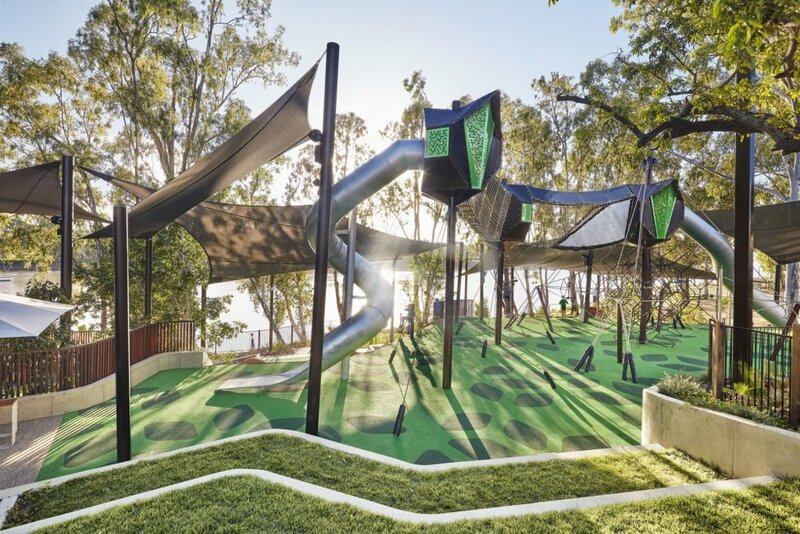 Landscape architects Urbis designed the 600-metre long development along the Fitzroy River, replacing the one destroyed when tropical cyclone Marcia tore through Queensland in 2015. The $36 million upgrade is expected to increase tourism and investment in the area. 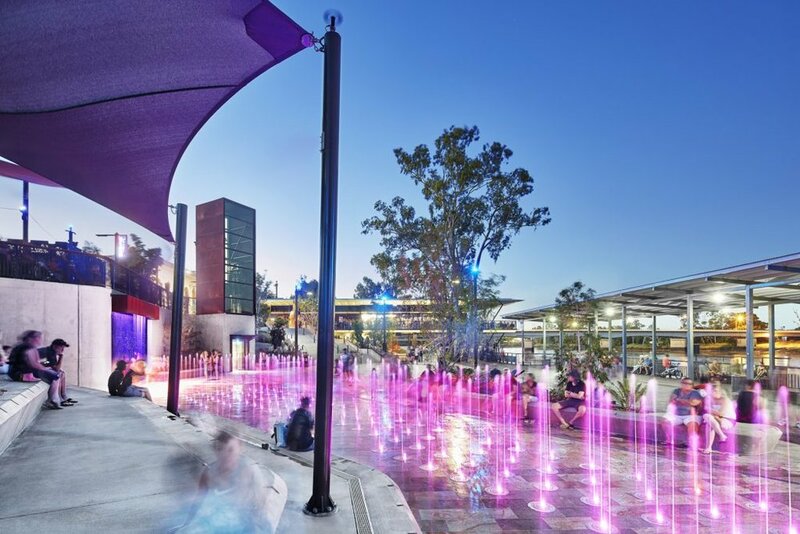 Landscape architects Urbis are behind the Rockhampton Riverside Precinct. 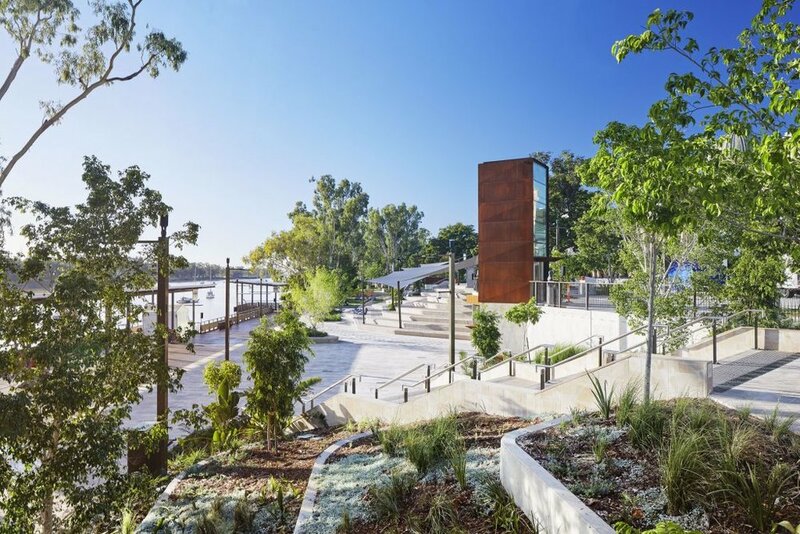 Urbis’ project recognises that “the riverfront is the most important of Rockhampton’s public open space assets”, and aims to provide a world-class recreation space that celebrates the city’s iconic heritage buildings. The upgrade was needed after cyclone Marcia ripped through Queensland in 2015. The development includes 3.3 hectares of parkland on the upper and lower banks of the river, as well as sections of Quay and Denham Streets, and is crafted to respond to the flooding conditions of the area. The development budget was $36 million. Public artworks, playground areas, façade lighting on nationally significant buildings, river lookouts, gathering spaces, and shared walkways will all allow the public to increase their engagement with the Fitzroy River. Urbis’ objectives for the project were to feature the area’s collection of heritage buildings, provide a platform for community events and festivals, celebrate the beauty of Mount Archer and the Fitzroy River, and to create a natural, outdoor venue that could provide respite from the Queensland heat and humidity. The objectives were to celebrate the beauty of the area’s natural features as well as provide a world class recreation space. Urbis not only partnered with the Rockhampton Regional Council in their development phase, but also elders from the Darumbal Nation, the Rockhampton Art Gallery, and the local police, ambulance and fire service. The project also needed to hero the area’s heritage buildings.